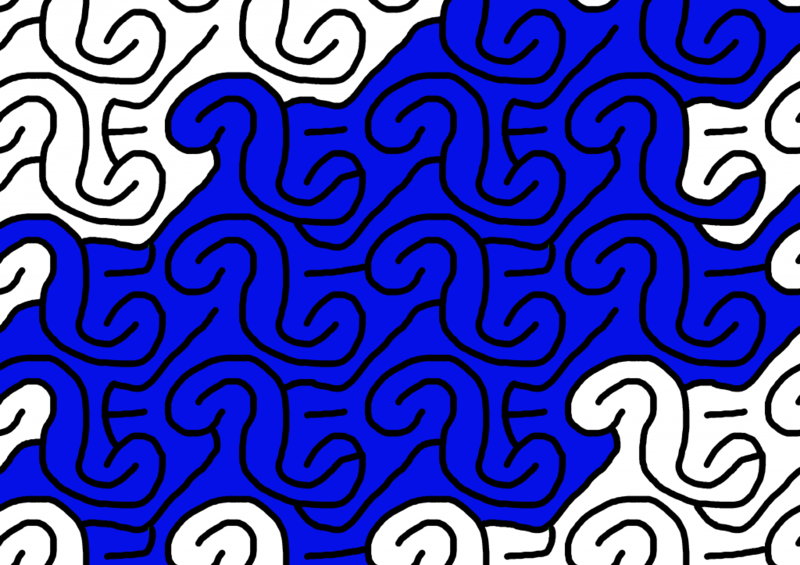 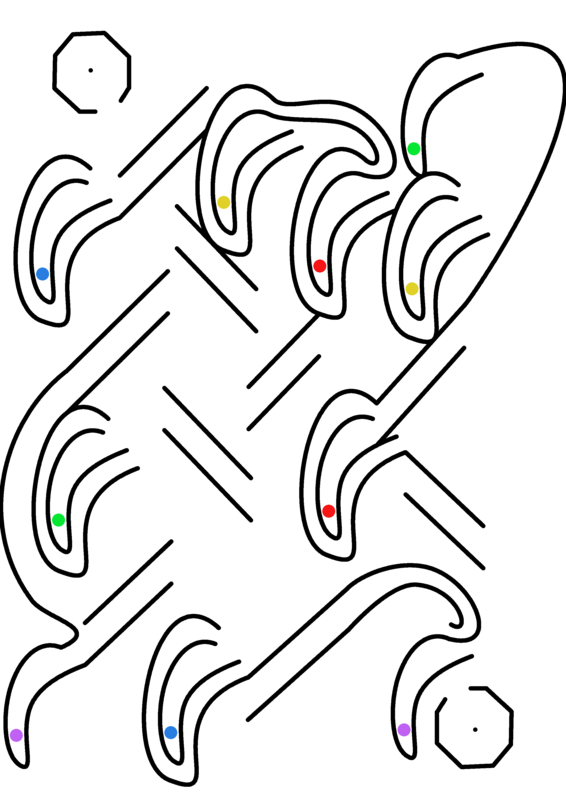 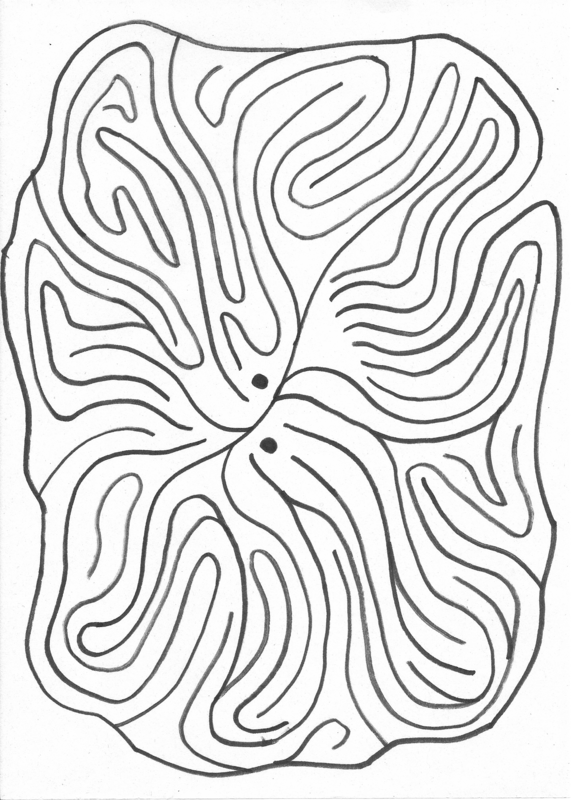 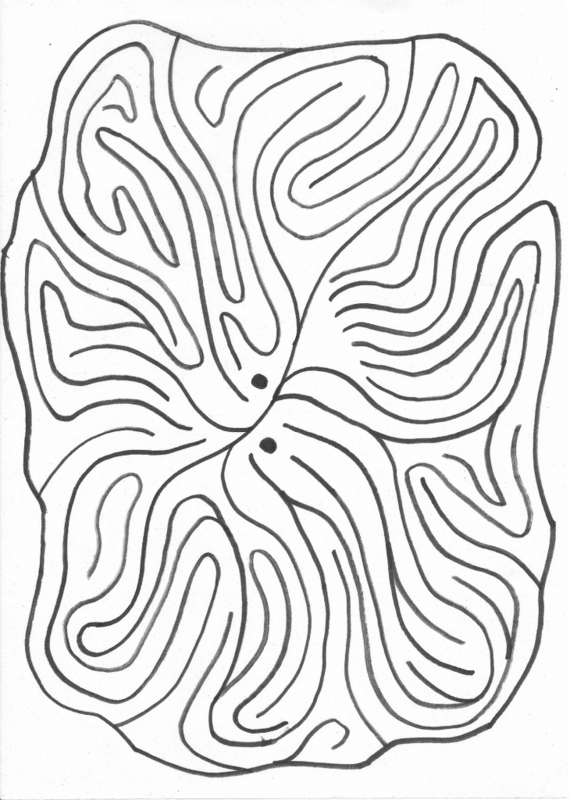 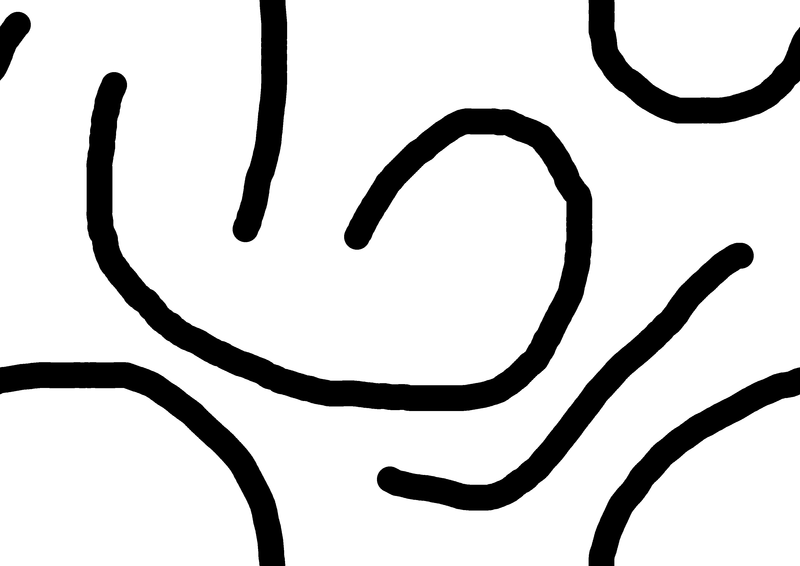 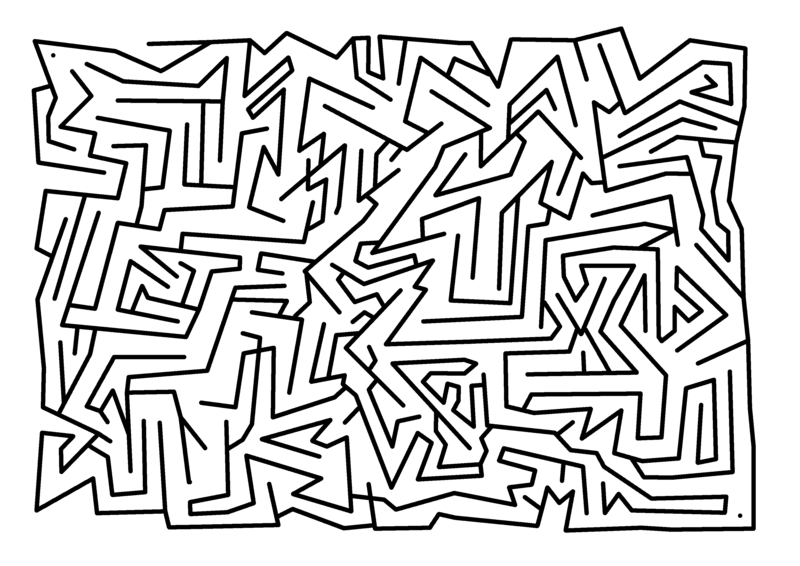 I made this maze with lots of pointy angles instead of smooth curves. 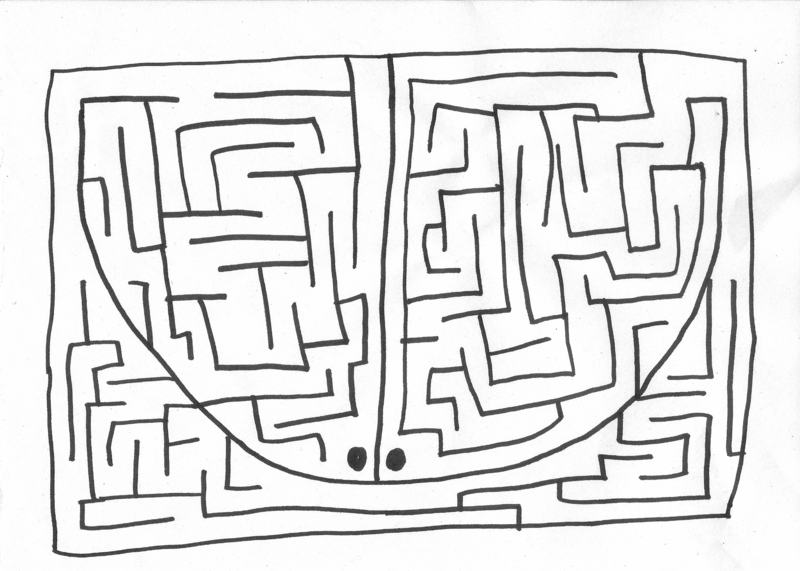 Sometimes life plays hardball. 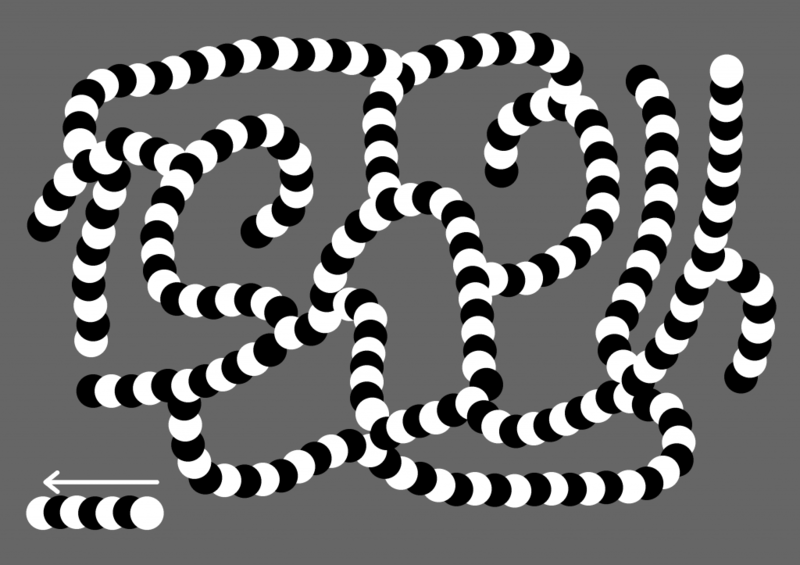 Curves coming next week! 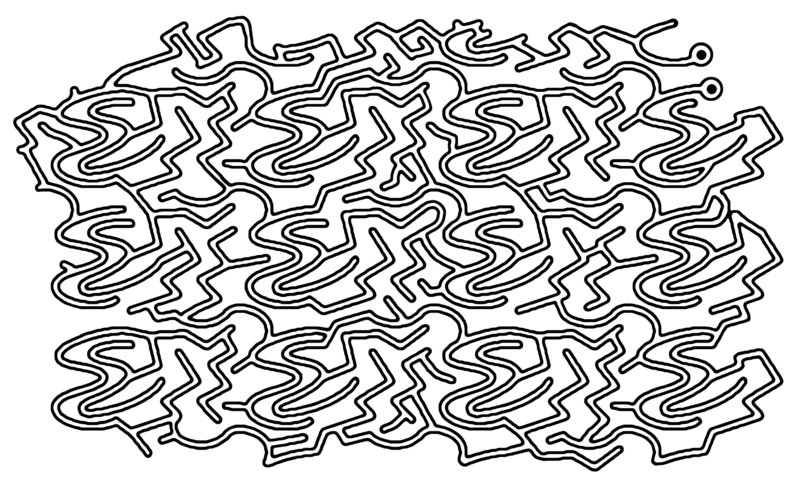 Start from one dot and go to the other dot. 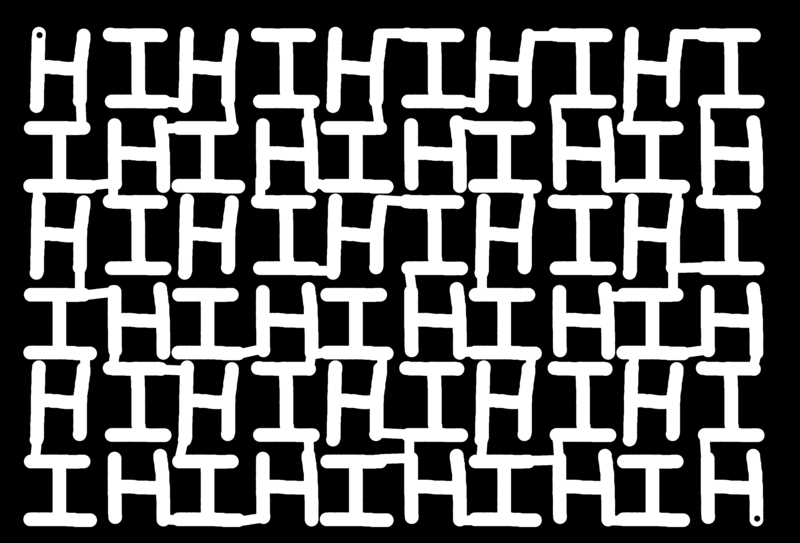 Top left to bottom right is easier than the other way around. Click the spoiler to see 20 steps how this was made, including the solution! 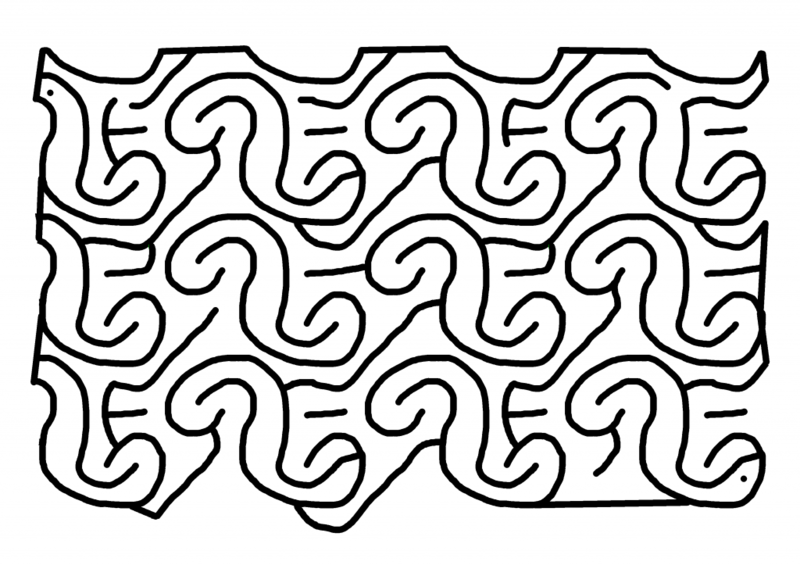 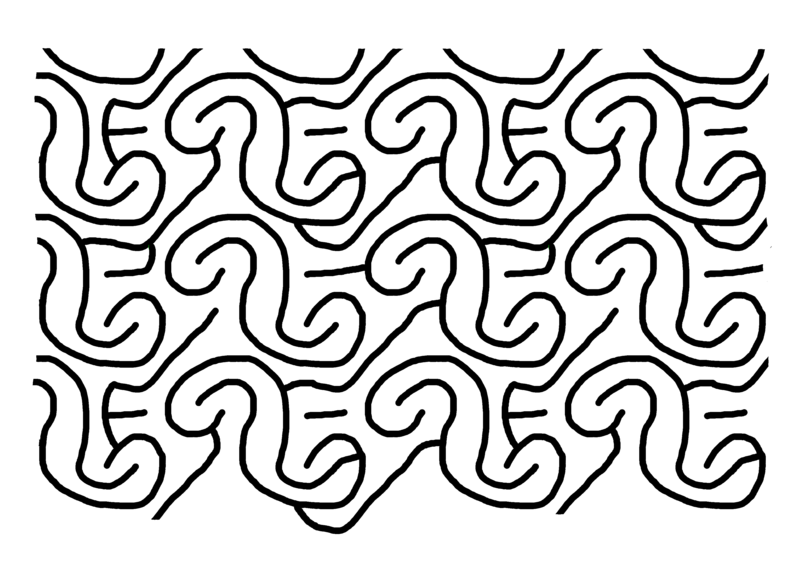 The basic pattern for this maze was taken from a game level I made for a guy I met online. 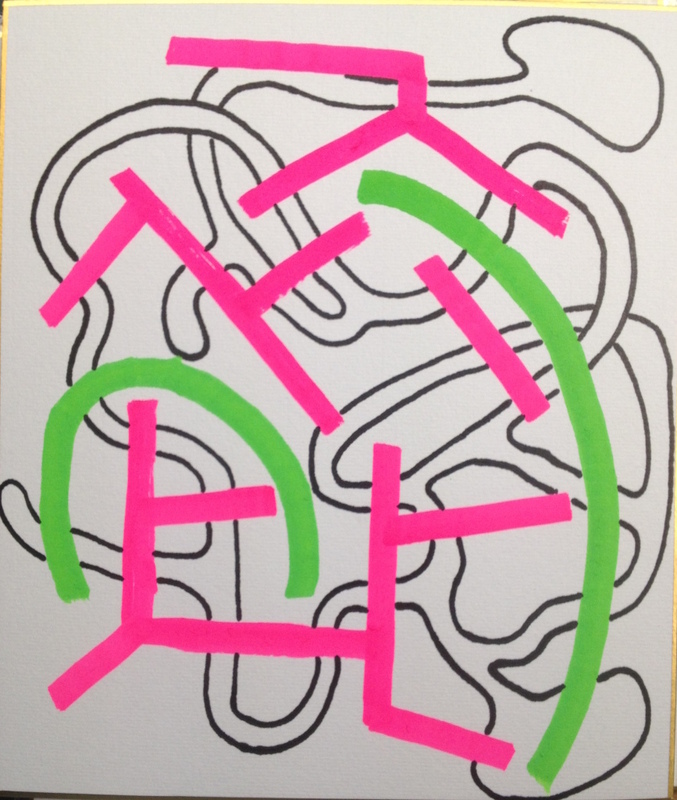 I hope to do some cross-promotion with his work and mine! 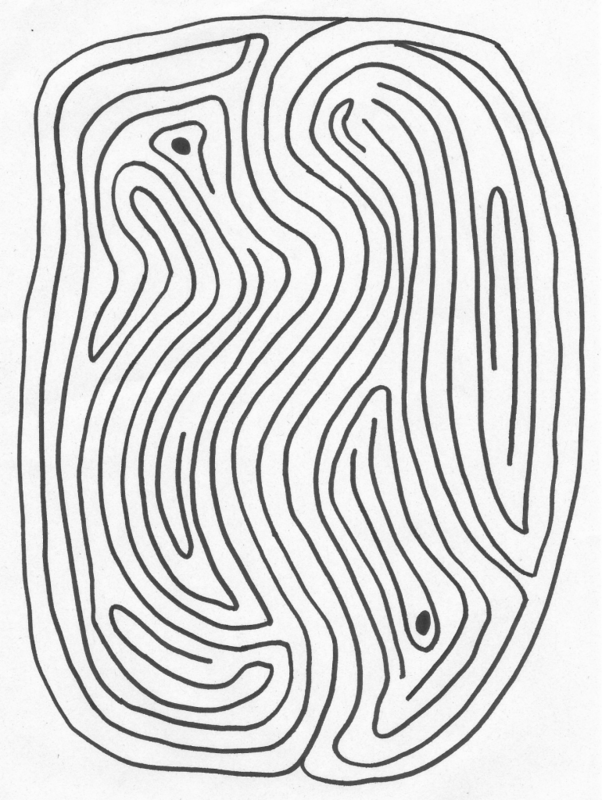 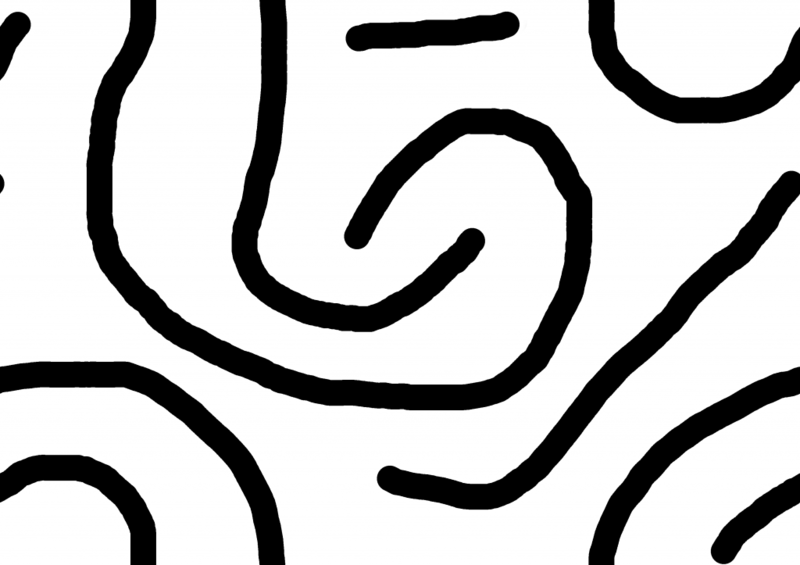 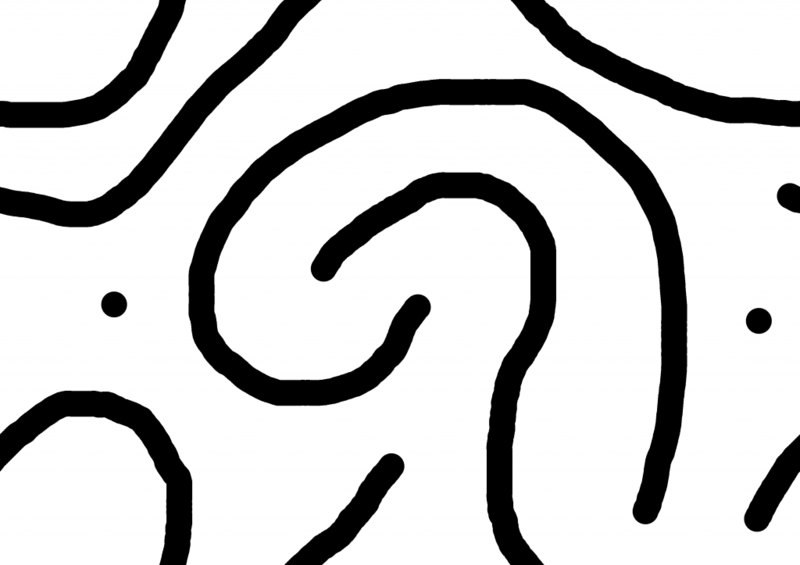 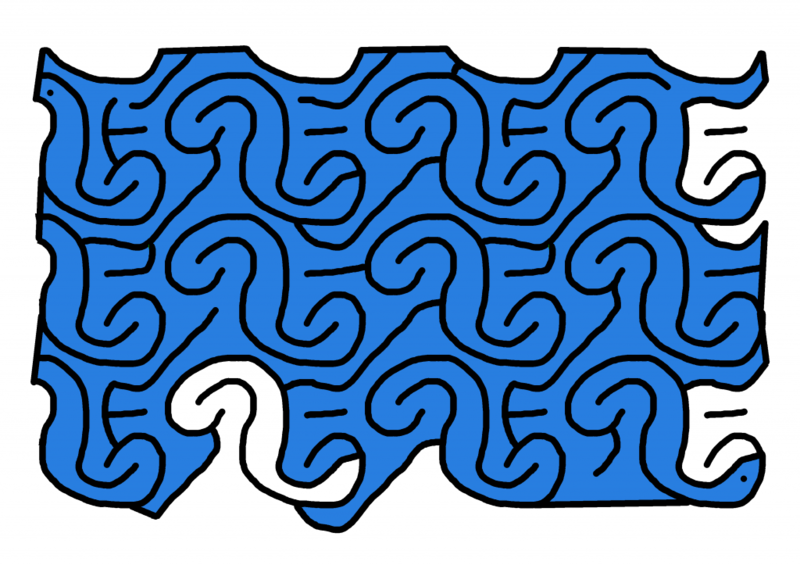 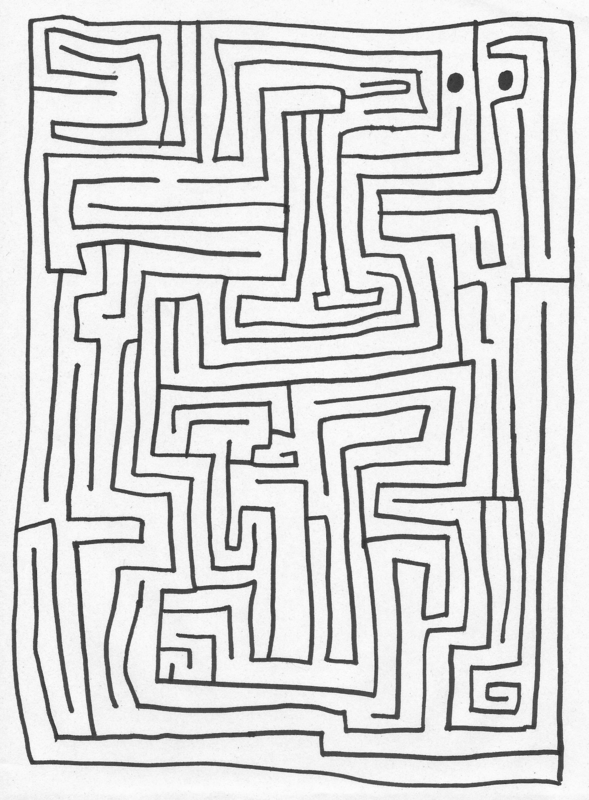 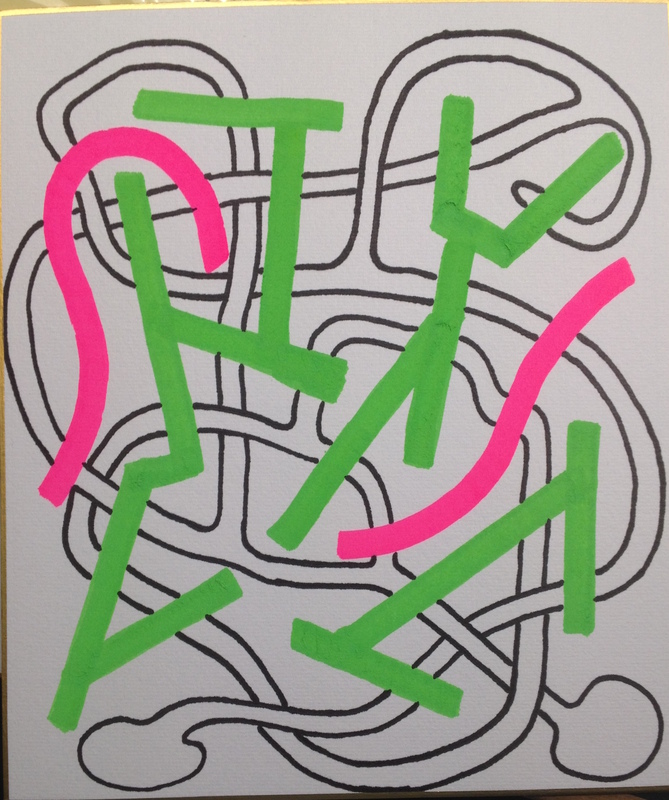 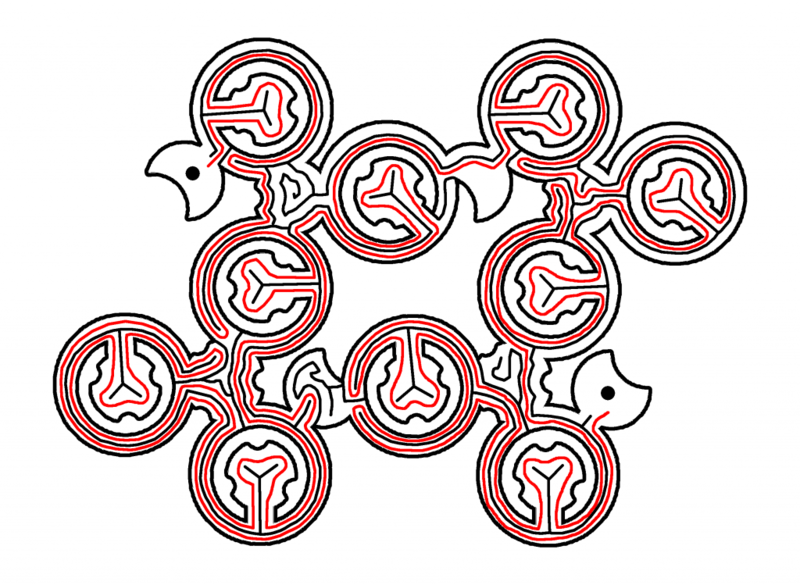 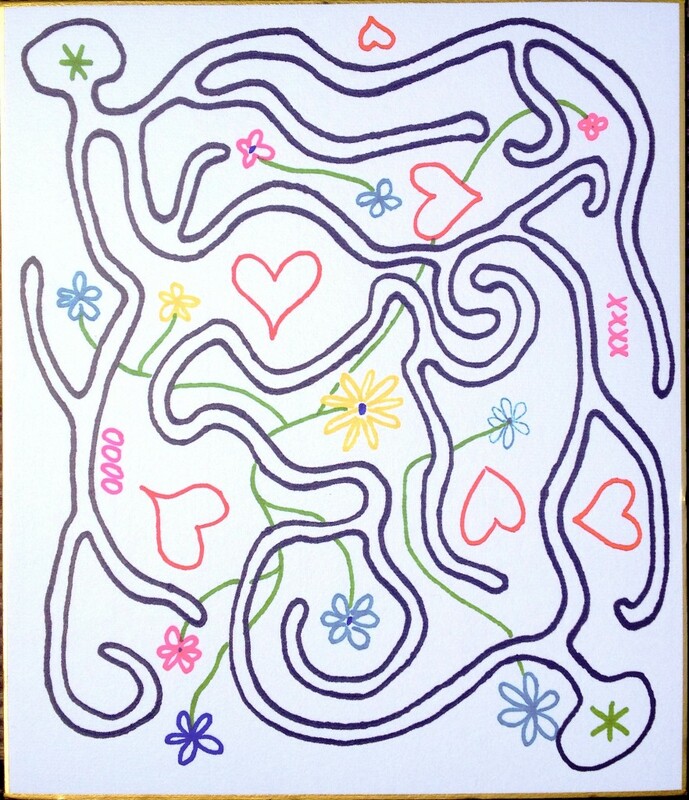 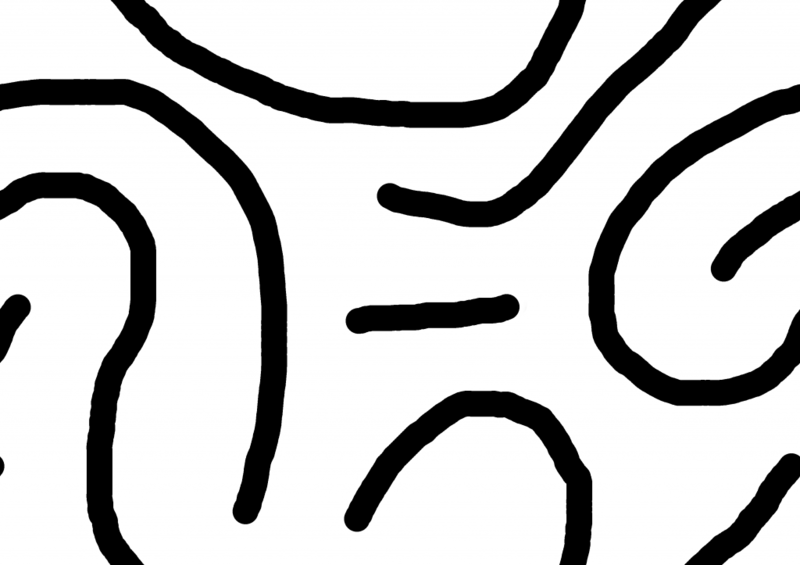 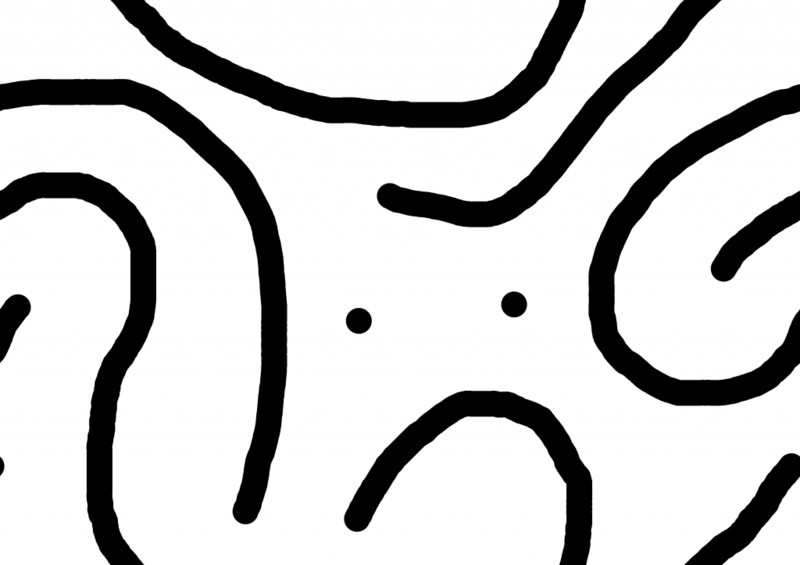 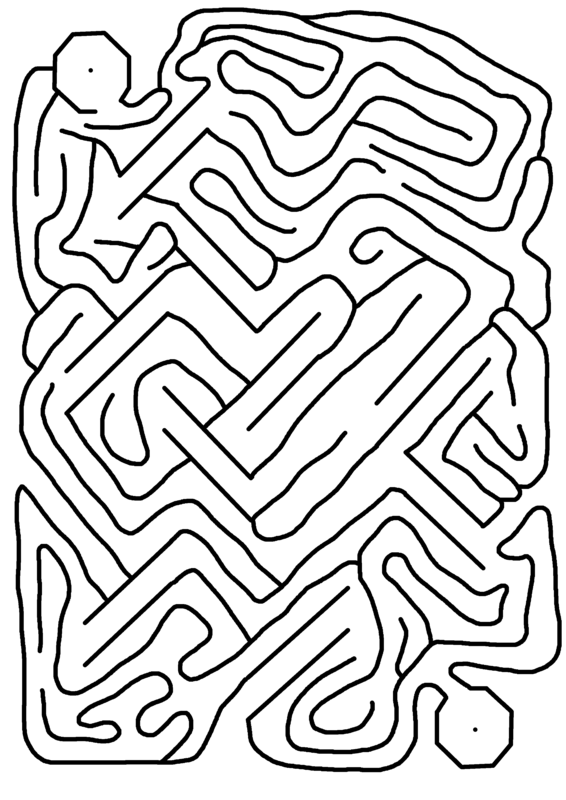 This maze is quite easy no matter which way you solve it. 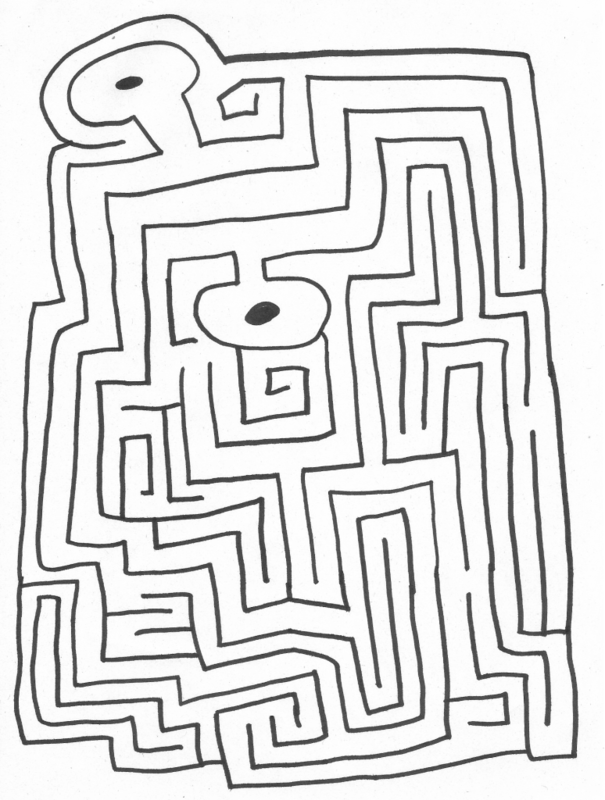 One way is just very circuitous! 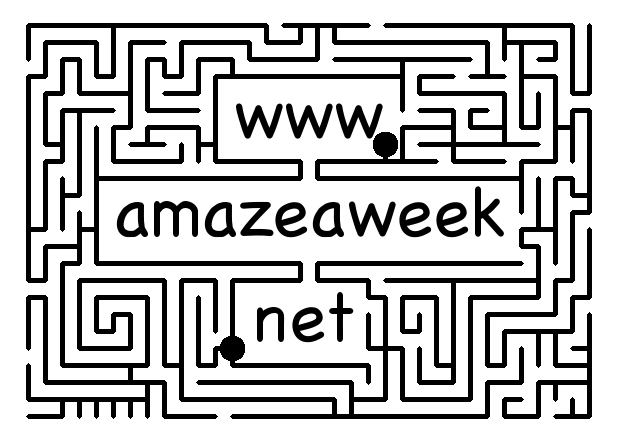 Click below for the wrong way to go! 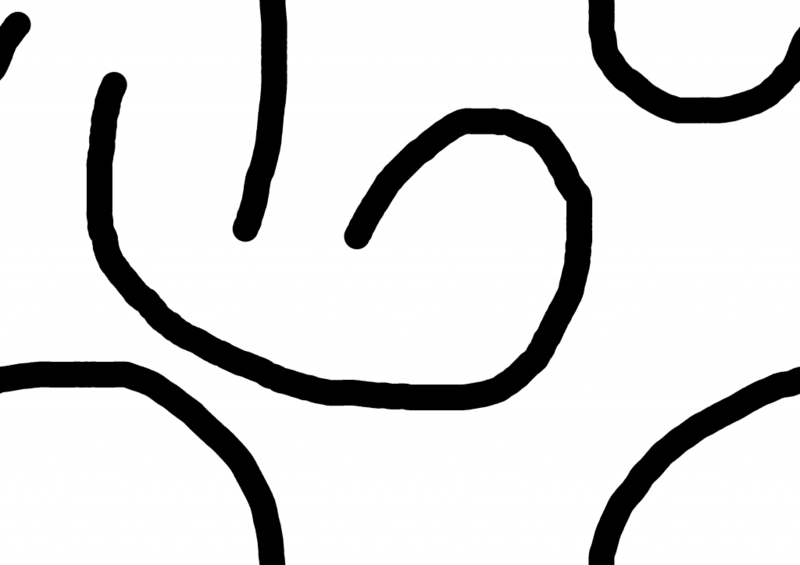 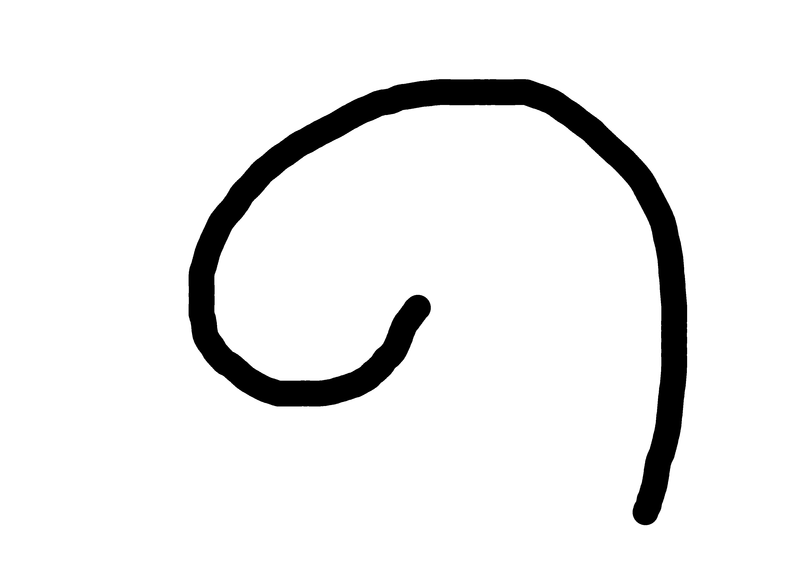 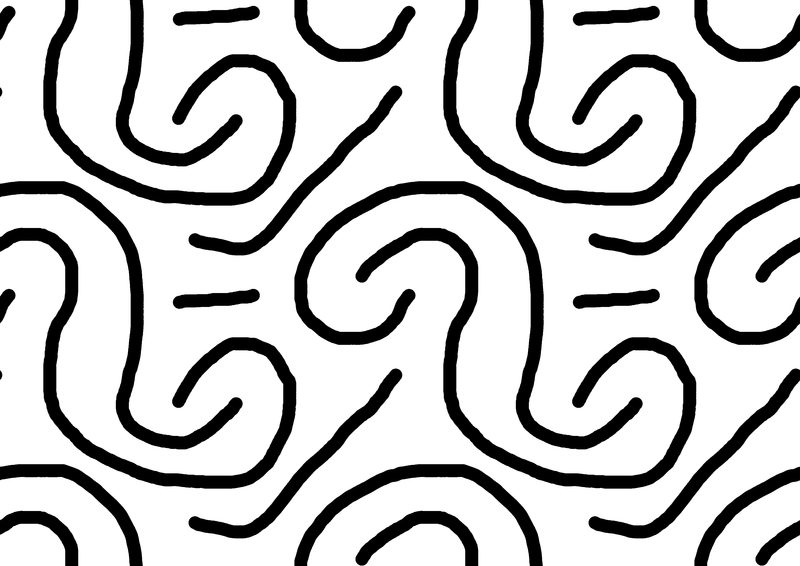 I recently saw a ten second tutorial on how to smooth lines in Gimp. 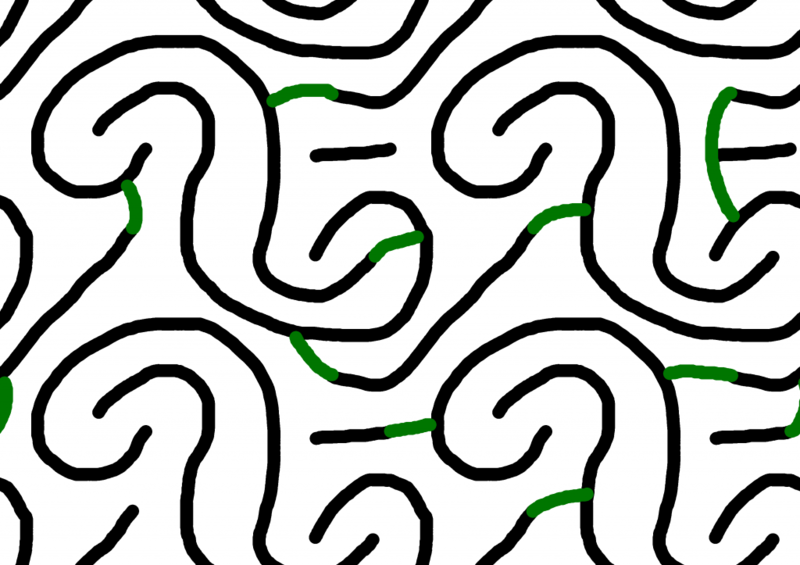 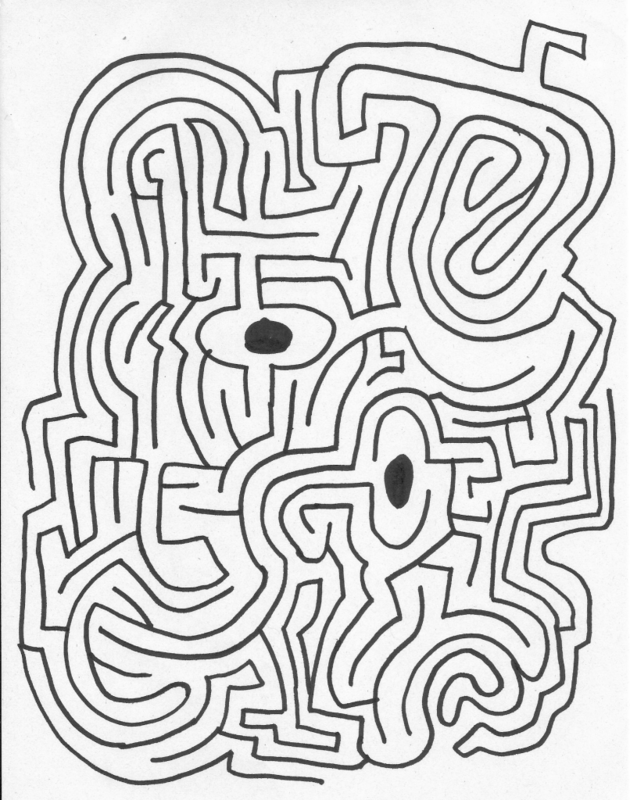 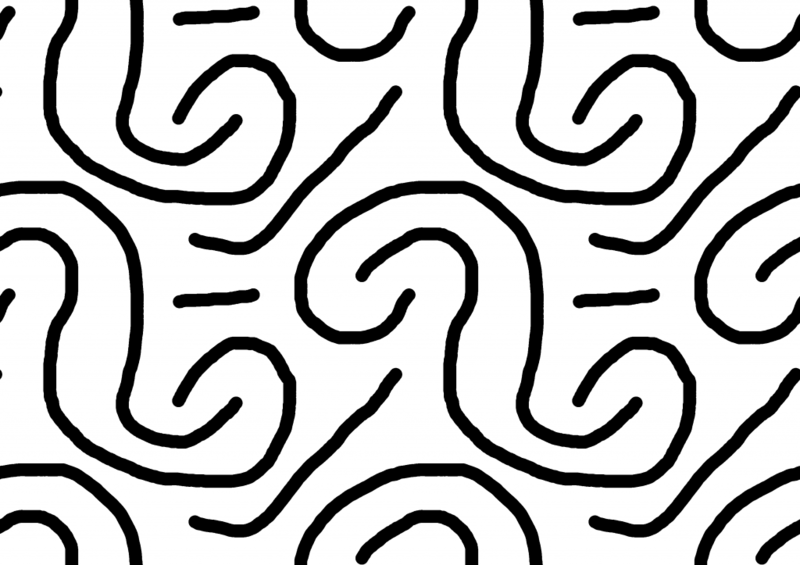 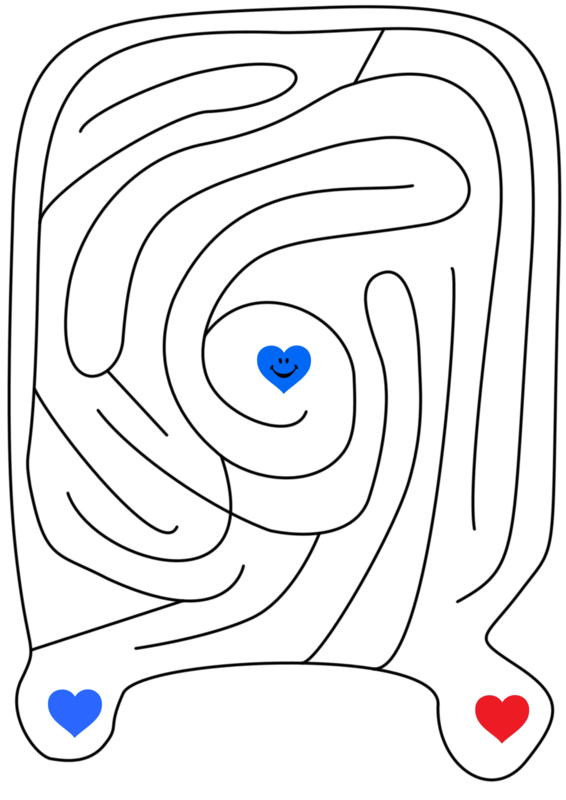 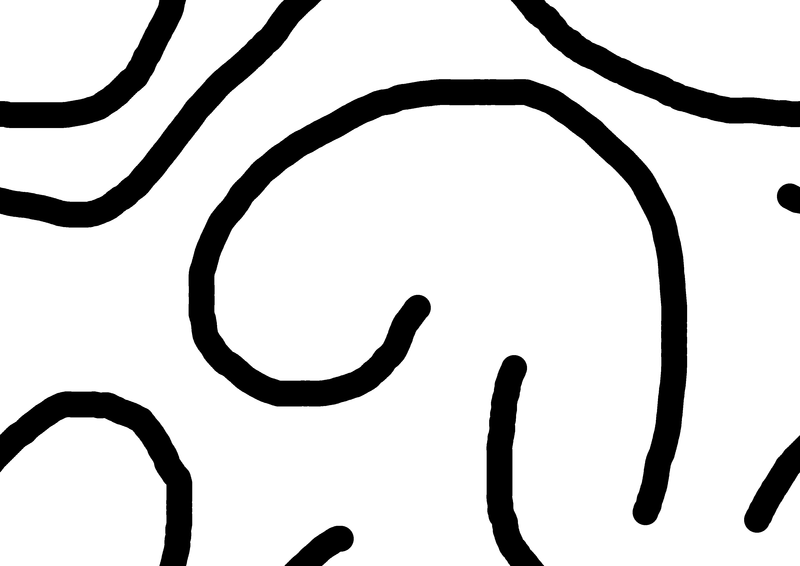 I used it to smooth the lines in this maze. The start and end points are in the upper right corner. 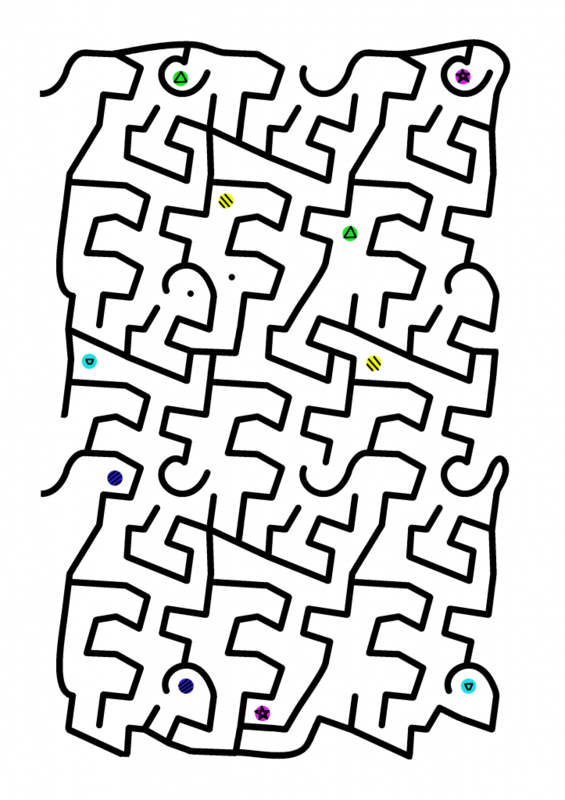 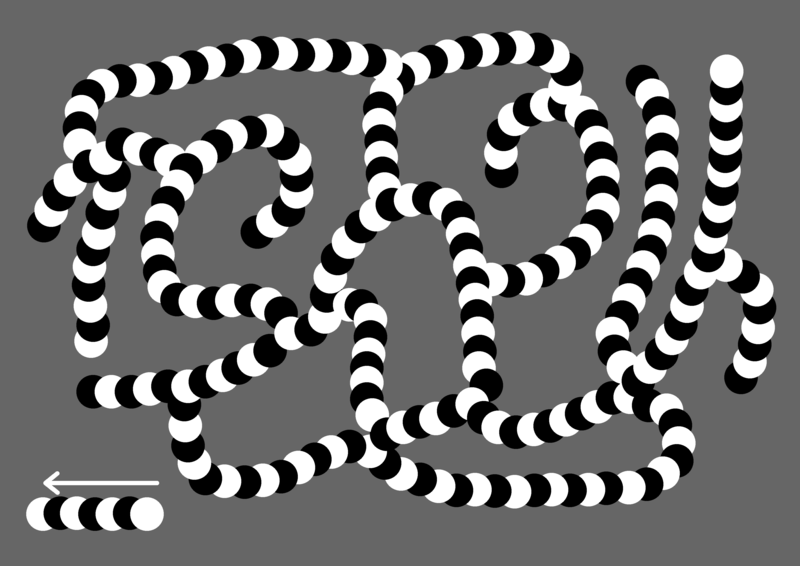 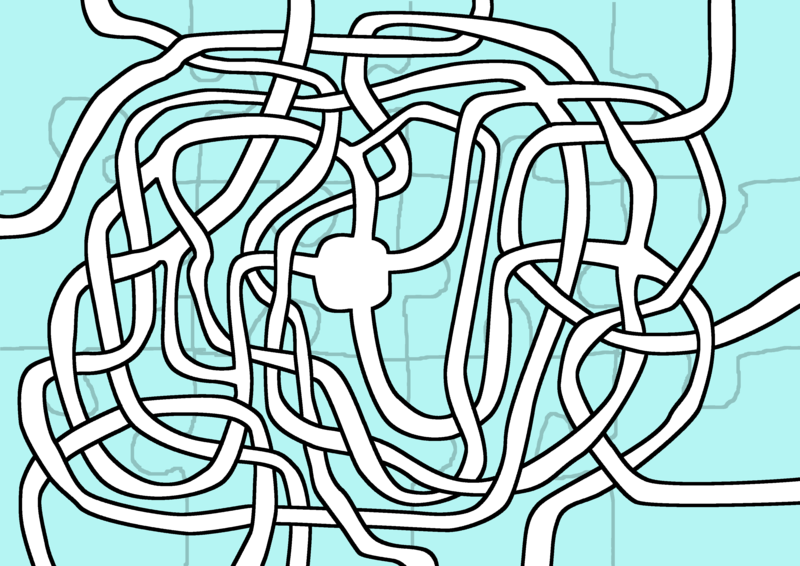 There are times that I want to make mazes with one-way portions, and I recently figured out a way to do so that would kinda make sense without saying much. 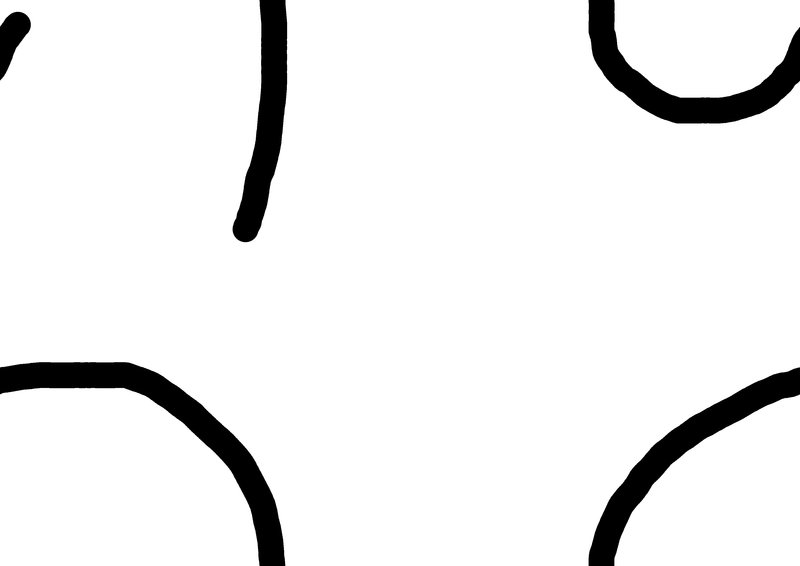 Zazie was the first person to give me coins on http://dogeparty.io/ 10,000 CUTE!!! Travis had an interesting idea for a promotional tool: a business card creator! He made one at FabCafe in Shibuya based on this design.